The sun, wind, frost, rain and the sea wear away rock shaping the coast into a variety of eye-catching and enticing features (i.e. geodiversity) that makes rocky shores attractive for people to marvel at, explore and enjoy. The wildlife living on the shore also plays an important role in helping to shape the shore. Field guides to explain these processes to the general public and children are few and far between. Most of the resources and activities for learning about rocky shores tend to introduce people to coastal wildlife. The Shore Shapers guide is designed to bridge this gap. It explains how the wildlife on rocky shores interacts with its physical habitat, helping to create it! 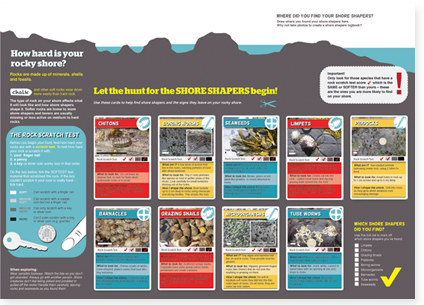 The guide is designed to be interactive, with fun science activities to help you explore the different ways in which wildlife helps to create your rocky shore. 1. What are shore shapers? 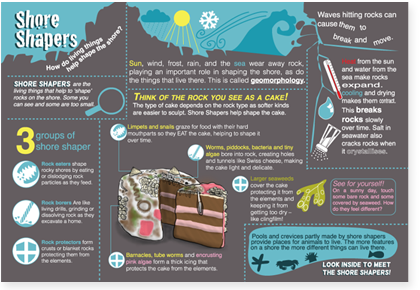 This page describes three different types of shore shapers and using a cake as an analogy, explains how each type of shore shaper is involved in shaping the shore. This page also introduces you to the science of geomorphology, which is the study of how landforms like rock pools develop and change over time. 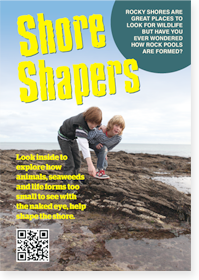 There is also an activity you can try on your rocky shore. 2. Find shore shapers on your shore? This part of the guide is where you can explore your shore to find out which shore shapers there are. You can also test how hard your rocks are – as the hardness of the rocks controls how many species you might find on your rocky shore! There are a few activities to do here too. 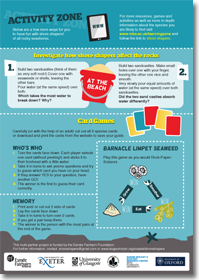 This page contains some extra activities that you can do on the beach and games you can play once you get home. 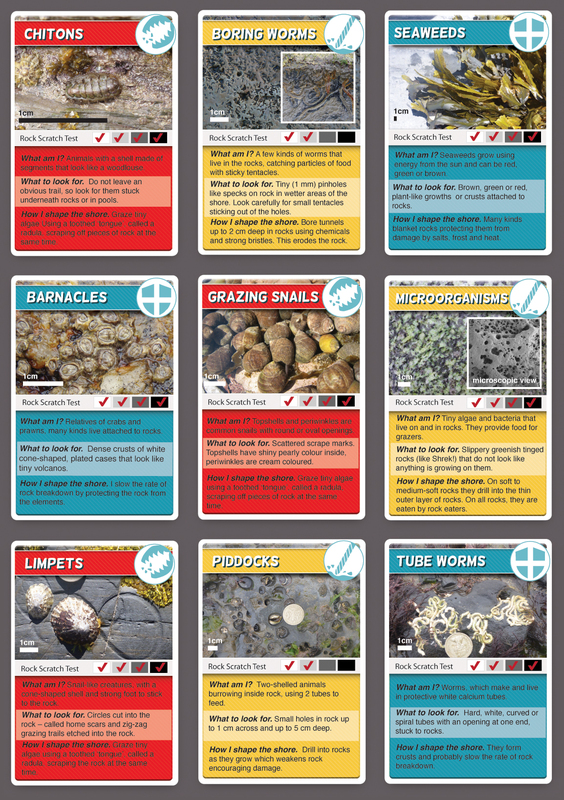 For the games, you can either cut out the species cards from your guide or you can download them from here and print them to use at home. Click on the cards to download and print. We have plenty of copies of the guide and would be very happy to send copies out, particularly to school groups, wildlife trusts and activity centres. We’d also be interested in coming to talk to local groups about the contents of the guide and bringing it to life on your local rocky shore. Please get in touch via: @shoreshapers or shoreshapers@gmail.com if you would like a copy. We would like to thank all of the children, parents, general public and volunteers who very kindly tested a draft version of our guide – this led to many improvements and was much appreciated. This guide was produced by a team of people from the following institutions and was funded by the Esmée Fairbairn Foundation.